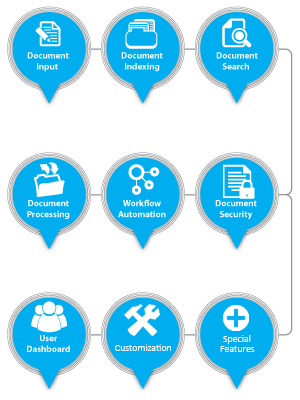 A document management system – DMS is a system (based on computer programs in the case of the management of digital documents) used to track, manage and store documents. This system should be capable of keeping a record of the various versions of the documents created and modified by different users (history tracking). Documents stored in a document management system – such as procedures, work instructions, and policy statements—provide evidence of documents under control. Failing to comply could cause penalties, loss of business due to con-conformance or non-compliance, or irreparable damage to a business’s reputation. Document indexing is the process of associating or tagging documents with different “search” terms. Indexing is a path to the documents. That path is based upon your business processes and your staff. Vienna Advantage DMS provides a powerful document search engine that searches through document content and gives you quick results. VIENNA Advantage DMS is an Enterprise level DMS.